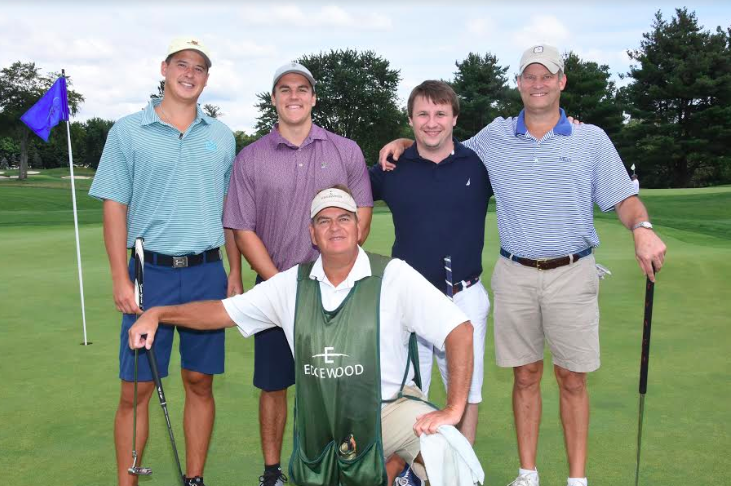 The 25th Annual TournGolf Tournament took place on August 28, 2017, at the Edgewood Country Club in River Vale, New Jersey. This sold-out event, sponsored by Mercedes Benz of Nanuet, was a resounding success on a day made to order. The Tournament raised over $342,000 for Saint Dominic’s Home, a non-profit human services agency, founded by the Sisters of Saint Dominic of Blauvelt in 1878. Saint Dominic’s services over 2,000 children, adults and families in the lower Hudson Valley and New York City through foster care and adoption services, residential care for the developmentally challenged, community-based mental health services, and therapeutic pre-school education. In addition to providing three cars for hole-in-one prizes, Mercedes Benz of Nanuet will pay for the first prize winners to represent the dealership at the Mercedes Benz Dealer Championship being held at the iconic Torrey Pines in La Jolla, California in October. Mr. Joseph Van Calcar and his team were the first prize winners with a score of -14. Many golfers return each year because, per one of the golfers, “Not only is it the best golf event in the tri-state area, but it’s a wonderful opportunity to help others as we support the service of Saint Dominic’s Home.” Over the past twenty-five years, this event has netted over 3.2 million dollars which, per Judy Kydon, CEO of Saint Dominic’s, “Has enabled the agency to maintain the high quality of its programs amid serious financial cutbacks.” Ron Sylvestri has chaired this amazing event with the vice chairs, John T. White and David Meberg for the past twenty-three years.